Record Store Day Tasting at Neat Neat Neat Records - Upland Brewing Co.
Hey Ft. Wayne! Celebrate Record Store Day 2019 with us at Neat Neat Neat Records. 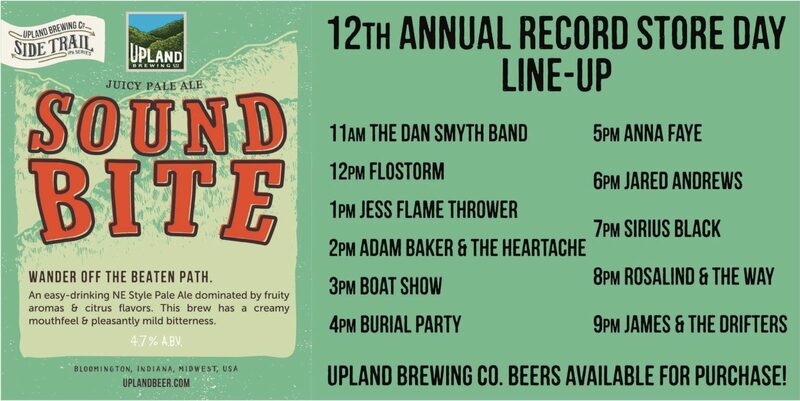 In addition to live music all day Saturday, they’re hosting an Upland tasting from 3-5pm! Brewed exclusively for Record Store Day, our latest Side Trail release Sound Bite will be available for tasting alongside other Upland beers. Our rep Kyle will be there to send you home with free swag and sample you on the perfect complements to live music. We’ll see you there!